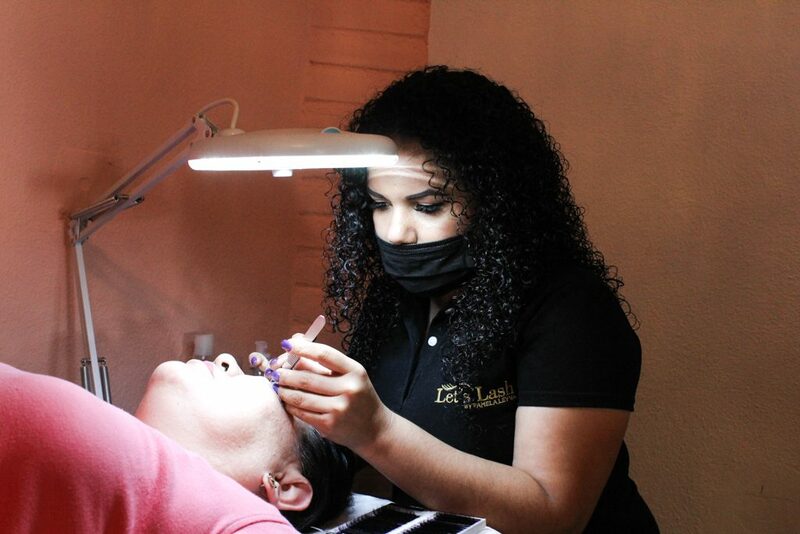 Let’s Lash By Pamela Leyva – The Fantastic Five, Let’s Lash by Pamela Leyva, Eyelash Studio of eyelash technicians are what the thriving, popular business is all about. They are all wonderful, professional, service-oriented, friendly young women, who are directly responsible for the company’s three years of growing and thriving success. Owner Pamela Leyva, originally born in La Paz, Baja California Sur, has lived in Cabo San Lucas her entire life, and is a General Director Master in advanced Russian volumes, and classic hair. Certified by vancity van & abbylashes. Melanne Vazquez, is a level III technician certified by #Letslash in Russian volumes, and classic hair, accompanied with the same skill set by Miriam. Yajaira Vazquéz, runs the front office as the salon’s general manager. Valeria Lizárraga, coordinates the busy office appointments and is the salon’s social networks specialist that includes What’sapp, Instagram and Facebook. ”I recommend their service and attention to quality 100%,” said Araceli Teresa Mejia, a ballet dancer with Frontera Contemporary Dance Company, visiting Cabo from Mexico City. A regular local patron from the Villa Group Hotel Resorts profession, Carla Lai-fan Tang Cespedes, originally from Bolivia, states that she loves the speed with which the Let’s Lash staff answer inbox messages, email, Whatsapp or telephone calls, when you want to schedule an appointment. 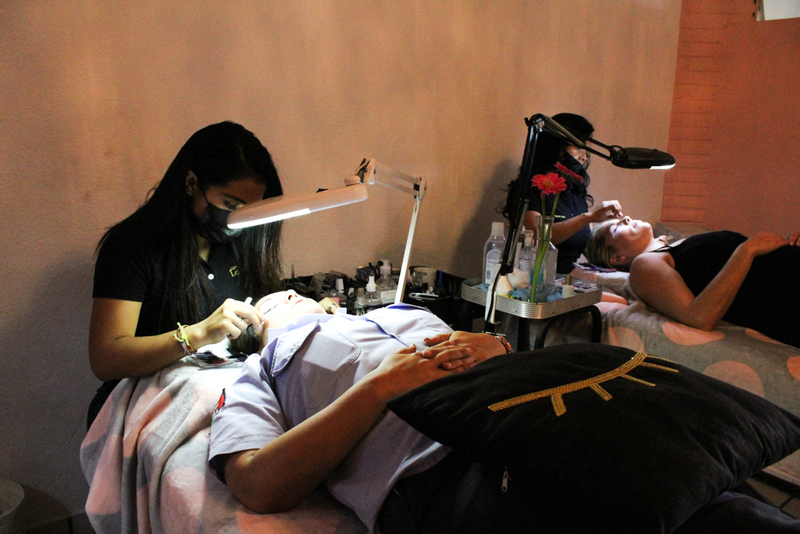 ”The prices are super affordable and the facilities very comfortable,” she added. 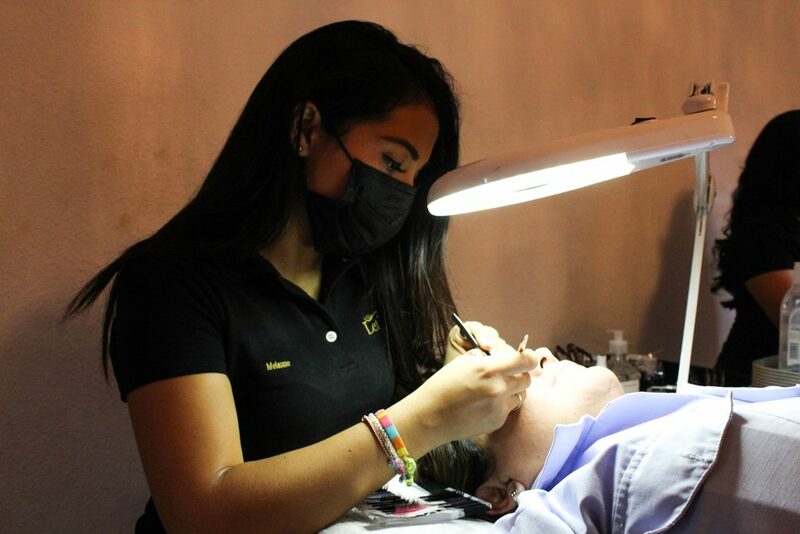 The services offered by Let’s Lash include a 30-minute Retouching of Eyelashes; whose price varies, an Eyelash Extension Removal ($300 pesos – $16 USD) that generally takes an hour and fifteen minutes, and the fulls set Mink Eyelash Extension that takes approximately two hours to complete. 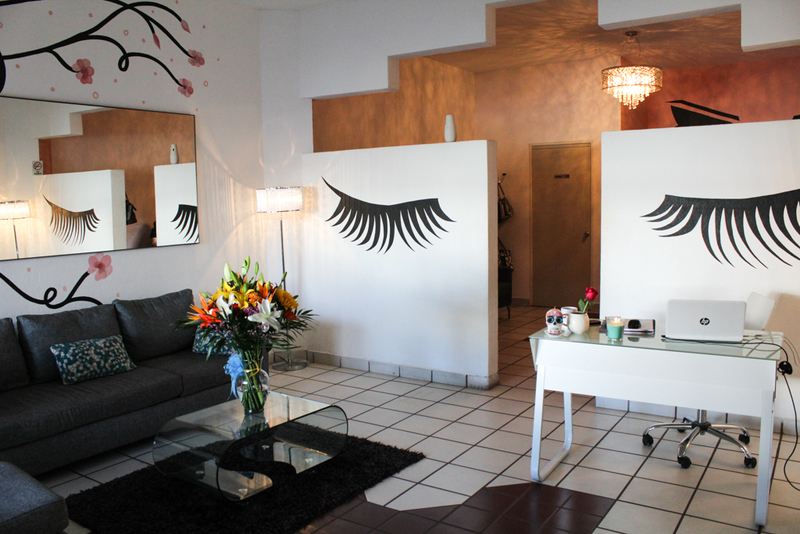 Katia Hess of Los Cabos recommends Let’s Lash because of its excellent service, ”After three days, my eyelashes still feel very natural. Pamela and Melanie are just so simply awesome!,” she exclaimed. 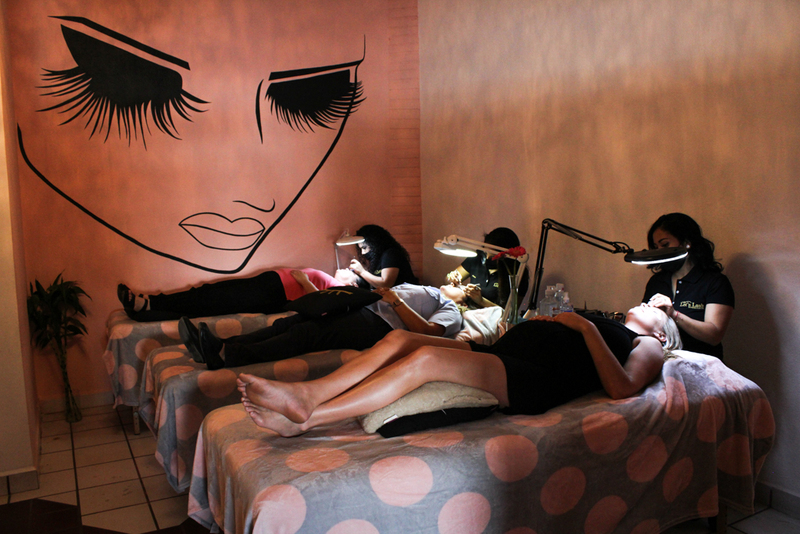 With its glowing reputation, Let’s Lash by Pamea Leyva, continues being the Queen of Eyelashes beauty salon establishment that continues to shine in sunny Cabo San Lucas. 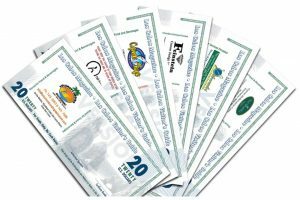 Prices range from $15 – $70.